A group of celebrities have come together in a special campaign based on Wind in the Willows to encourage people to work together to save the UK's wildlife. A special film trailer for The Wind in the Willows story has been released by The Wildlife Trusts starring Sir David Attenborough, Stephen Fry, Catherine Tate, Alison Steadman and Asim Chaudhry - but it's not the story as you know it. 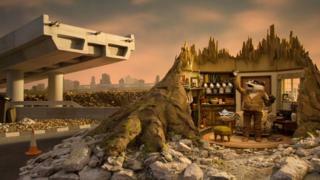 The animation shows the famous characters from the much-loved children's book, like Toad, Badger and Moly, falling into hardship as a result of roads being constructed, river pollution and intensive farming. The idea is that it highlights the threats faced by nature and wildlife in the UK, which include habitats being destroyed and climate change. 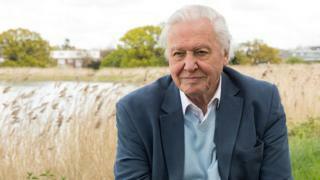 Sir David Attenborough has backed the campaign to recover the UK's wildlife, saying: "Together we can make the next chapter for wildlife a happier one"
The character Ratty in the story is a water vole - a species which is currently the UK's most rapidly declining mammal. The UK has also lost seven in every ten toads that were around 30 years ago. Sir David Attenborough, former president of The Wildlife Trusts, says: "We have damaged our rivers, built too many roads and lost too many ponds and meadows. All of this has happened because our systems and laws that should be keeping nature healthy are failing, and we are losing touch with wildlife." "It is desperately sad that so much of our country's wildlife has been lost since Kenneth Grahame wrote his wonderful book The Wind in the Willows. Of all the characters in the book it is hard to know whose descendants have suffered the most," he added. "We need ambitious new laws to ensure we do [protect nature], laws that ensure we map out nature's recovery." Charity boss Stephanie Hilborne explains: "We are a nation of nature-lovers, yet we live in one of the most nature-depleted countries in the world. If we want to put nature into recovery we have to create a mass movement of people calling for change." The charity hopes that the film trailer will inspire people to contact their local politicians and take action to help wildlife in their local area. Sir David added: "Together we can make the next chapter for wildlife a happier one. Join us to put nature into recovery." Are you doing anything to help wildlife in your local area? Let us know in the comments below. Looks so sad! Hopefully this will change.